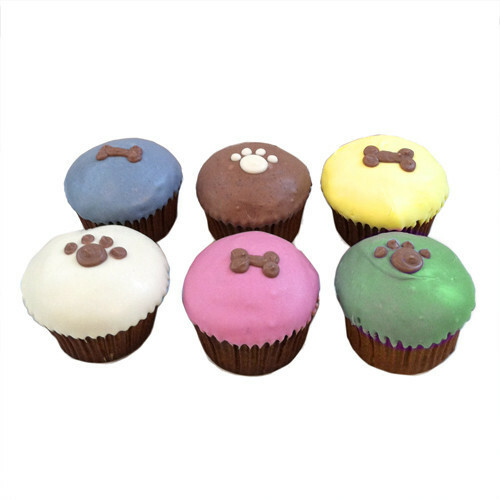 The loving, caring dogs at your party each deserve a treat of their own. We know that. It’s why this devised this six-pack of classic cupcakes, made of the same soft, delicious, and moist peanut butter and carrot cake we use for our larger cakes. Your dogs will just love having their own treat and you’ll be even happier that you don’t have to break out the knives and plates for your canine friends. At 2.5”, they’re perfect for medium to large-sized dogs, and can be easily cut for smaller dogs.